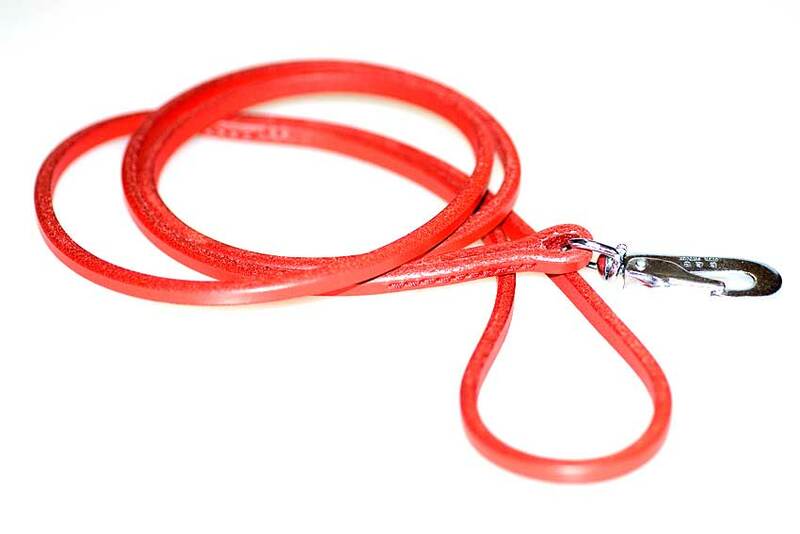 1m / 40" long dog show lead made of full grain 6 mm thick belting leather with a mini version of our high quality safety trigger hooks and stitched by hand. 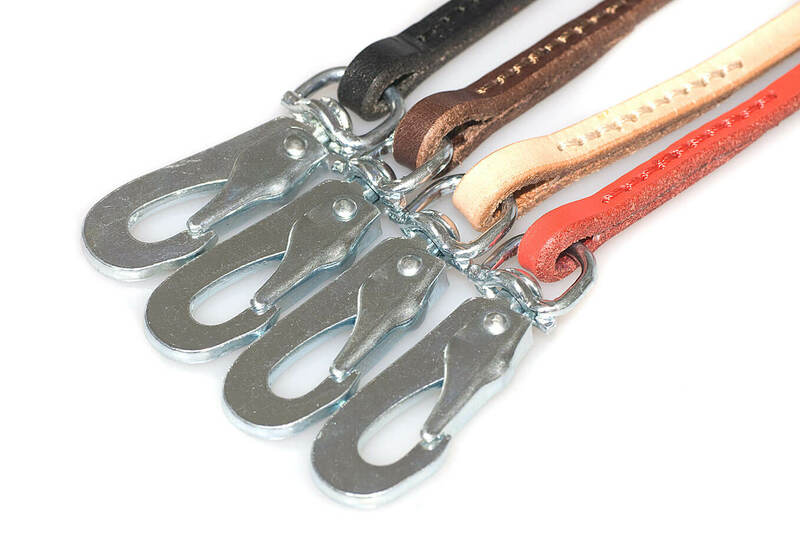 These Swedish-made triggers are used by husky sledge teams, climbers and alpinists, feature the safest mechanism on the market and will not open accidentally - perfect to prevent escapees and give me you peace of mind in the show ring! 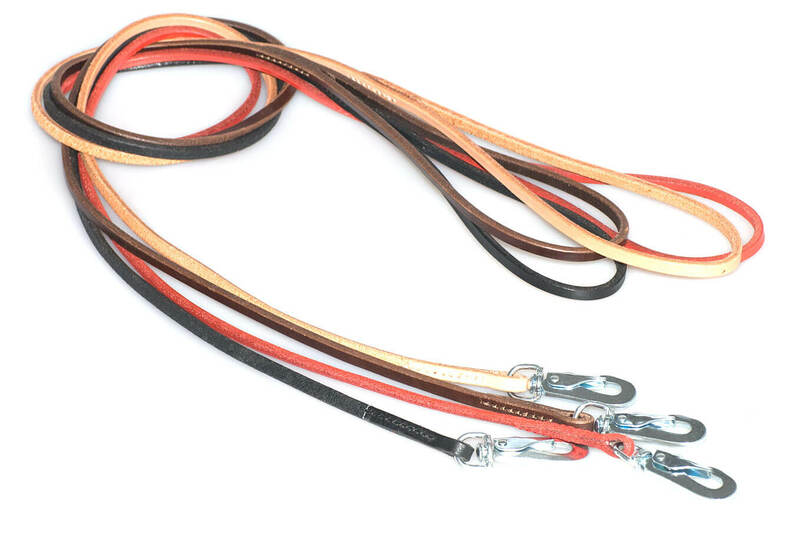 Strong yet lightweight this show lead will suit both medium and larger sighthound breeds, such as Whippets, Afghan hounds, Salukis and Basenjis. Available in black, brown, red and beige. We stock matching dog show collars in 5 sizes to suit most breeds.